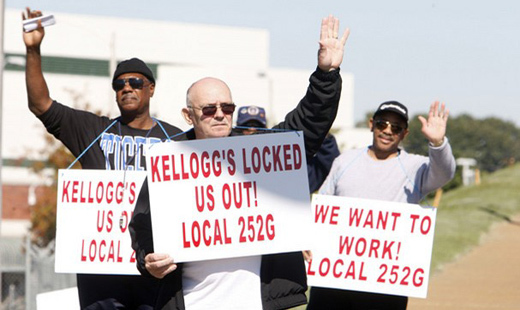 MEMPHIS – A federal judge in Memphis, Tenn., has ordered Kellogg’s to take back the 226 union workers it locked out from its cereal plant there over nine months ago. The workers, members of Bakery, Confectionery and Tobacco Workers and Grain Millers Local 252G, must return to their old positions and the firm must resume bargaining with the local within five days, U.S. District Judge Samuel Mays ruled on July 31. Kellogg’s lockout of the mostly minority workforce nine months ago has become a cause for the union and for civil rights groups nationwide. That’s because profitable Kellogg’s demanded the workers take deep pay cuts, pay more for their health insurance and allow the firm to outsource their jobs. When they refused, it locked them out. “A federal judge agreed entirely and unequivocally with the union and the National Labor Relations Board. Judge Mays rejected each and every argument Kellogg has made since this dispute began,” BCTGM President David Durkee said. The judge added that “Kellogg’s proposals were not to change the casual employee program, as it insists it had the right to demand. Rather, Kellogg effectively demanded changes to the wage rates of new or rehired regular employees. Those rates are set in the master agreement,” between BCTGM and Kellogg’s covering all unionized plants. “The good-faith bargaining required by” labor law “does not allow Kellogg to use creative semantics to force midterm changes in the wages of new or rehired regular employees in violation of the master agreement,” Mays’ ruling declared. 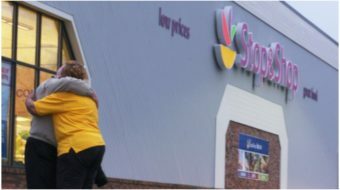 “The lockout, which has deprived the employees of their pay and health insurance, has been ongoing for nine months. The administrative process may continue for many months and even years to come. To allow the lockout to continue through that period would place significant hardship on employees in furtherance of Kellogg’s bargaining position, which the National Labor Relations Board has reasonable cause to believe is unlawful. 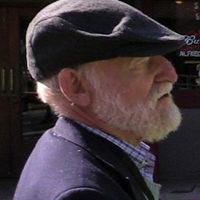 That would undermine the remedial powers of the board” to enforce labor law, the judge said.